The male attaches to the female using the claspers at the end of his abdomen. He stands watch while she deposits her eggs in the slow water of the eddy. Should she be threatened by a predator, he will fly off with her. 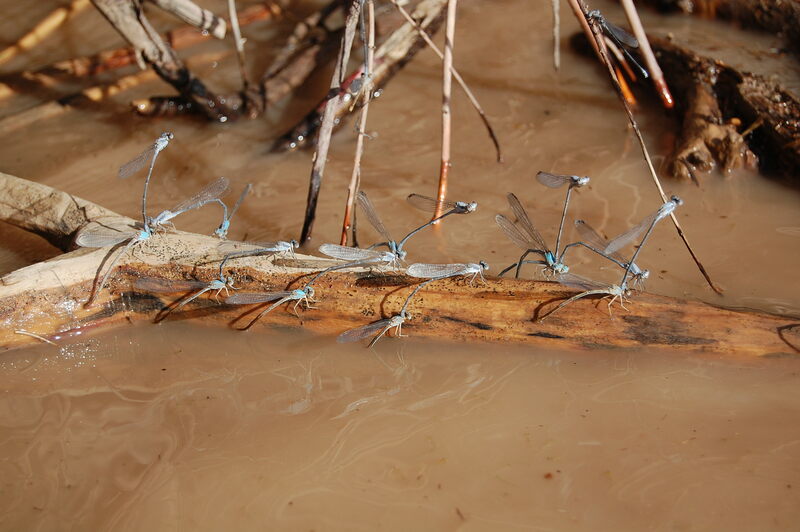 Powdered Dancers (Argia moesta) are members of the family Conenagrionidae (pond damsels) and are fairly common in the Southwest U.S. I took this photo submerged in deep mud and brown water from recent flash floods in a eddy 15 miles upstream on the Colorado River from Moab Utah.